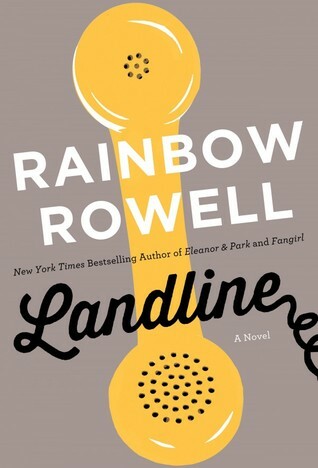 Landline, Rainbow Rowell’s most recent release, is the story of Georgie McCool and Neal Grafton, college sweethearts who are facing marital difficulties fourteen years into their marriage. Georgie is too wrapped up in her TV writing career, and Neal is standoffish, but they both love each other, and their daughters Alice and Noomi more than anything else. So why is their marriage falling apart? When Georgie skips Christmas in Omaha with Neal’s family, she fears it might have been the final straw. When Georgie finds an old telephone in her childhood bedroom that connects her to the Neal of the past, she finds it could give her all the answers she needs, but realizes she might not like the outcome. Rainbow Rowell could write anything and I would probably love it but Landline might be my new favorite. After being excited for this book for what felt like forever, it was more than worth the wait. I loved Georgie and all her sass and TV show dreams. She knows what she wants and is never afraid to go after it. Neal on the other hand, never knows what he wants, aside from Georgie, that is. Throughout the book we get back story into Neal and Georgie’s relationship, as well as Georgie’s relationship with her best friend and comedy writing partner, Seth. The college-era Georgie, Neal, and Seth give a Fangirl feel to the book, because Rowell writes that age in such a relatable way and does it so, so well. Just like Fangirl and Eleanor and Park, all of the characters came to life as I read, and I could not put the book down. I actually read the whole thing in one day, which I now regret. I already want to go back and re-read, if anything just for Georgie and Neal’s relationship and seeing it build and come together. The quotes about love and being with someone were just so beautifully written and real sounding, that you couldn’t help but root for them all the way through. Every character, not just Georgie and Neal, but Seth, Scotty, Alice and Noomi, even Georgie’s mom, in her velour track pants (I had a giant Mean Girls flashback at that. I’m not like a regular mom, I’m a COOL mom) just jumped off the page, and I loved every minute of this book. It moved so quickly that I read 100 pages before I realized it. If you’re looking for your next great summer read, run don’t walk to Landline! What would you do if you found a phone to the past? I was nervous for that too, especially because her other adult novel wasn’t really my cup of tea, but now I’m wondering if maybe I should go back and try it again since this was so good! So relieved that it exceeded expectations. I’m on a long wait-list for this one so happy to know it’ll be worth it. In the meantime, I should probably read Fangirl. It definitely lives up to the hype it’s getting, and I’m so glad! Fangirl is amazing too, definitely a perfect summer book! I’ve thought a lot how weird it would be to talk to my husband back when we started dating after finishing this… We’ve been together 11 years (married for 5) and it would be so bizarre! I, of course, love everything Rowell had to say about love. She just gets it. I also loved that Noomi thought she was a cat. Because a meowing 4 year old is the cutest thing ever. I can only imagine it would be bizarre! Rainbow Rowell is amazing at putting feelings I can’t describe into words in every one of her books and I love it. I have yet to read any Rainbow Rowell, but I really think it’s time I got on that. This souns fantastic! I love that line you quote at the beginning of your review. So glad you enjoyed Landline too! Nice Mean Girls comparison too with the velour pants 🙂 I think this book is even better the second time! I think it will be too! I gave it to my friend to read, but I might re-read it really quick when she’s finished. Great review! I really loved the quote you added in at the end! Also, Rainbow Rowell is easily the queen of writing amazing dialogue! She definitely is! 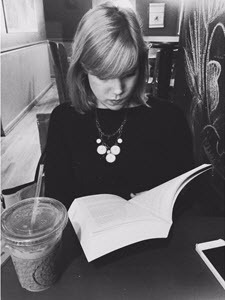 It’s so real sounding, whether it’s adult or young adults she’s writing about! I’m looking forward to reading Landline! I’ve only read two Rainbow Rowell books so far (Attachments and Fangirl), but I’m definitely a fan of her work.